News > Catering & hospitality > How is the design of university catering facilities changing? From a place to grab a coffee on the go, to a casual study space and somewhere to eat lunch with friends or colleagues, there’s no denying that catering facilities are an intrinsic part of a university campus. But with spaces shifting from a traditional canteen structure to something far more dynamic, we asked experts from the university catering industry to explain why the design of catering facilities is changing. Julie Barker is non-executive director for CUBO and former chair of TUCO whilst director of accommodation and hospitality at Brighton University. She observes the creation of more flexible catering spaces that allow architects to consider how different food trends can be met through an alignment with spacial design. Barker says: “This might see a site being themed to world foods – say, Mexican – one year, but then being repositioned several months down the line to a noodle bar. Space optimisation is under pressure across campuses. 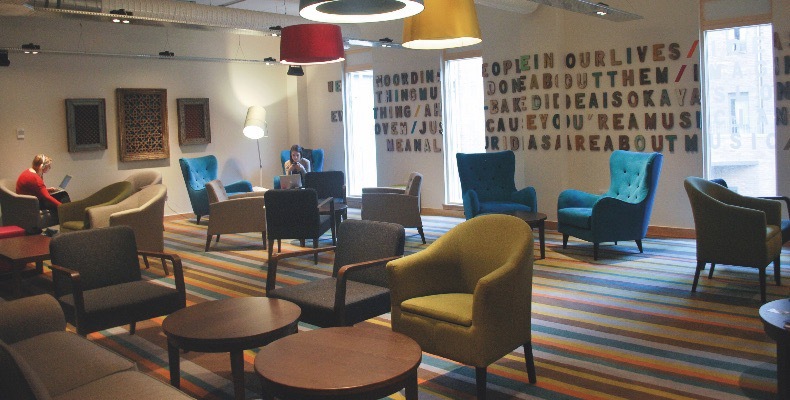 Tom Laskey, sales and marketing director, schools and universities, for Sodexo UK and Ireland thinks that universities need to make their catering facilities work harder by creating shared communal spaces with flexible seating configurations for study, socialising and group working. 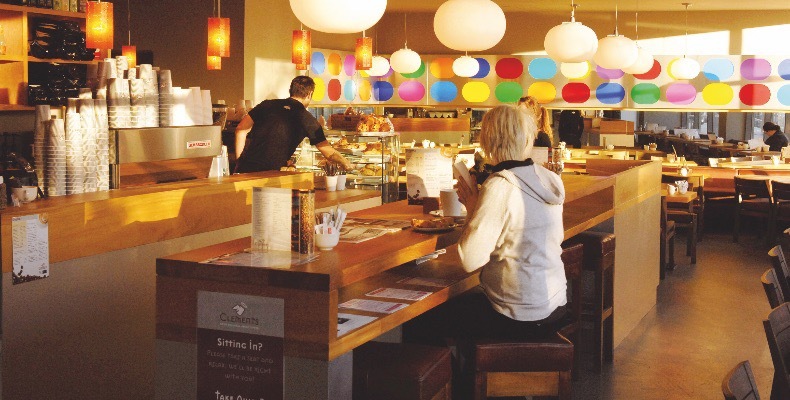 “This is vitally important as the lines between learning, dining and socialising become increasingly blurred and dining becomes less formal and time-specific,” he says. 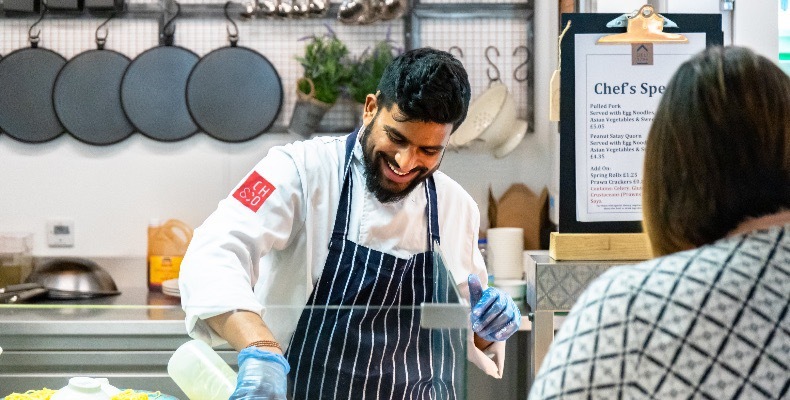 Matthew White, chairman of The University Caterers Organisation (TUCO) has seen universities tapping into the immersive eating trend by offering experimental pop-up supper clubs, multi-sensory food events and interactive dinners in their catering facilities. He says: “Our Global Food and Beverage Trends Report 2018 found nearly six in ten of consumers aged 18–34 said they like to take pictures to share on social media. Charles Willoughby is business development director for CH&CO. For large universities that have several catering outlets across one campus, or where campuses are close together, he believes that creating a central production kitchen should be considered in order to maximise efficiency, and that an existing facility could also be adapted to do this rather than creating one from scratch. With many UK universities located within walking distance of the high street, and some choosing to introduce coffee shop brands such as Costa Coffee and Starbucks into their campuses, how can institutions compete with the big names of the catering world? Willoughby thinks that by adapting their catering facilities to give students more choice, such as creating ‘theatre’ cooking stands, universities can have the upper hand over their high-street competitors. He says: “Students love choice, just look at how much is available on the high street for them. Universities have long opened the doors of their sporting facilities to the public to generate further revenue, but what about the possibility of opening up their catering facilities in the same way? Willoughby agrees, and thinks that universities can diversify their catering offer by hosting the likes of children’s parties or corporate bookings.